It is a quite common that during the life of the employer-employee relationship, circumstances may arise that lead the parties to consider terminating their relationship. This tends to arise as a result of a dispute or grievance that one party has with the other, which has not been resolved to one party's satisfaction. Alternatively, businesses may be struggling in a competitive market and might be forced to reconsider their position and staffing needs. Regardless of the scenario that prompts a party to consider terminating the employer-employee relationship, the way this is achieved is through the use of what are called Settlement Agreements. 0141 280 2848 or complete our online enquiry form. A Settlement Agreement is a document that, in law, ends the employer-employee relationship. It is quite common that the employer will suggest the use of a Settlement Agreement but employees are also entitled to consider their use and bring it to their employer's attention. When a Settlement Agreement is created, its terms will be specific to whatever scenario has led to it being drafted. Generally, it will be a dispute between an employer and an employee that merits its use. While most of the terms of the Settlement Agreement will be subject to negotiation, the vast majority of these agreements normally allow an employee to vacate their position with an employer, in exchange for their waiving any rights that they have to bring an employment law claim before an Employment Tribunal against their employer. An employer will normally provide a level of financial compensation and a reference to allow their former employee to look for another position. As mentioned earlier, a Settlement Agreement brings the employer-employee relationship to an end. Because its use carries legal consequences, it is important that it is a valid document that is appropriately signed by all of the parties. Before a Settlement Agreement will be recognised as valid, an employee must have received independent legal advice on the substance of the document. Any legal advice sought should also come from a law firm that has professional indemnity insurance. At Employment Law Glasgow, we have a great deal of experience of advising on the terms of Settlement Agreements. 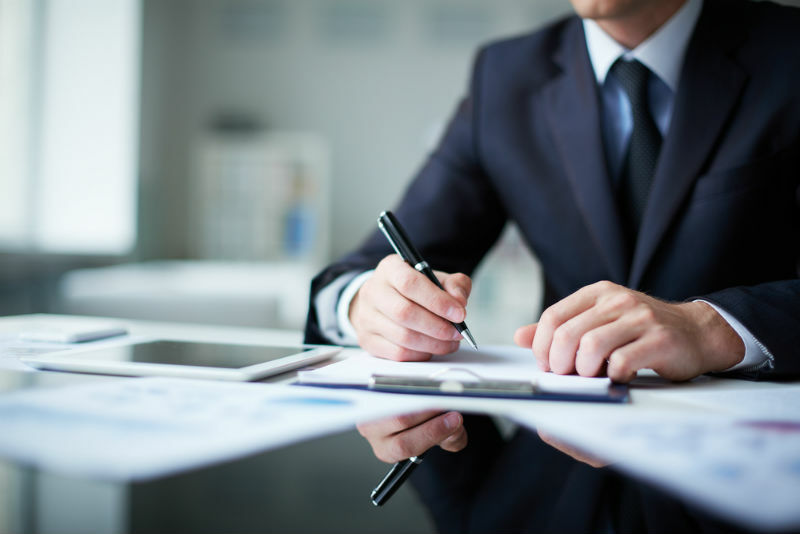 We are quite familiar with the key terms of this document, and are prepared to negotiate the financial compensation that is suggested by employers if required. It is important that clients do not become concerned about having to pay for legal advice on the terms of Settlement Agreements. As a result of the legal requirement for employees to seek advice, it is often the case that employers will pay the fees of an employee's legal advisors. We at Employment Law Glasgow have professional indemnity insurance and will provide objective advice with the best interests of our client in mind, which is never affected by an employer's payment of our professional fees. Our lawyers will ensure that you are appropriately advised on the meaning of all of the terms of a Settlement Agreement. When an employer presents an employee with a Settlement Agreement, they should seek legal advice on its meaning. Employees need not accept what employers have suggested in the Settlement Agreement. If they are not satisfied with a Settlement Agreement's terms, they may ask their advisors to communicate this to the employer. This will normally result in employers reconsidering the terms of the Agreement, before providing a revised copy to the employee. Until the Settlement Agreement is signed by both the employer and employee, being acceptable to both parties, the employer-employee relationship will remain. If an employee decides that the terms of a Settlement Agreement are acceptable, having received independent legal advice on what the different clauses mean, they may sign the document and give it back to the employer. Upon receipt of the agreement the employer will then identify what is to be the 'Termination date', which will be when the employer-employee relationship ends. The employer will include this and a timetable of when financial compensation will be paid to the employee. The employer will normally give the employee a reference, allosecureg them to pursue employment with another organisation. After a Settlement Agreement has been signed, in law, the employer-employee relationship is terminated. The employee will leave their post and waive any rights they would have had to bring a claim before an employment tribunal. In exchange, they will receive the compensation that was agreed. If you are thinking about using a Settlement Agreement, or have been presented with one having been unable to resolve a dispute, speak to our expert employment solicitors now. We will provide advice which takes into consideration the terms of the Settlement Agreement. Get expert Settlement Agreement advice from one of our Employment Lawyers today - call us on 0141 280 2848 or complete our online enquiry form.